Adrian Peterson will plead no contest to one count of reckless assault, and avoid jail time, according to ProFootball Talk. This is a lesser charge than the felony child-abuse charge the Vikings running back was facing. Peterson’s no-contest plea, while not officially an admission of guilt, indicates that he will not fight that charge. Peterson was charged with reckless or negligent injury to a child in September after he acknowledged to police that he “whooped” one of his children. The child’s mother reportedly took her son to the doctor when she noticed cuts and bruise on his thighs, lower back, and buttocks, after a visit to Peterson in Minnesota. 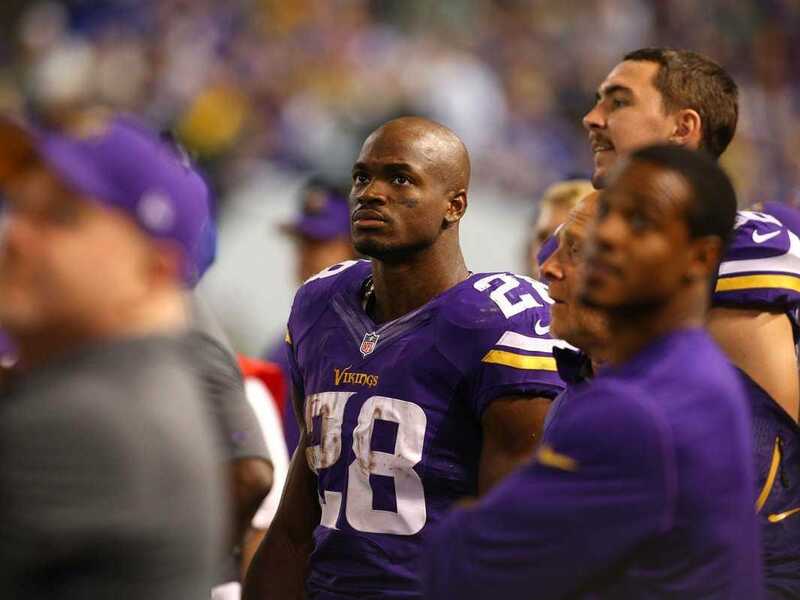 Shortly after Peterson was charged, the Vikings suspended the running back with pay. Peterson has played in just one game this season. According to Mike Florio, if the judge accepts the plea, Peterson will pay a $US2,000 fine, be placed on probation, and serve 80 hours of community service. If the NFL decides not to extend Peterson’s suspension past the eight games he has already served, he could theoretically be reinstated for the Vikings’ next game, against the Bears on Nov. 16.